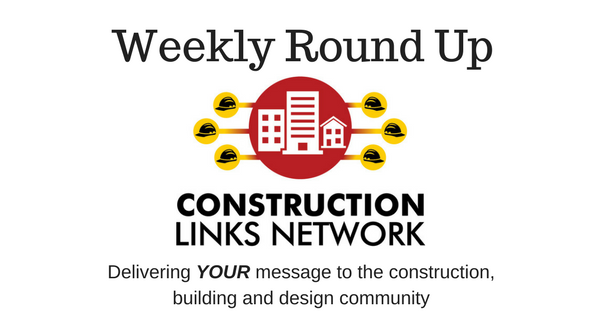 Welcome to this week’s edition of the Weekly Round Up published by Construction Links Network. Below are the links to all the news items published on the network over the past seven days. If you have a news item that would be of interest to our readers and website visitors, please contact us. Ideal for company news, project updates, new appointments, awards & milestones, new products/services, brochures, videos, infographics, blog sharing, events and more. Watch the video and learn more about Construction Links Network – the peer-to-peer network sharing platform for the construction, building and design community.